Prior to joining the City University Business School, Kate Phylaktis worked at the International Monetary Research Project at the London School of Economics and at the Economics Office of the National Commercial Banking Group (now Royal Bank of Scotland). She has held visiting appointments at the Research Department of the International Monetary Fund, University of Bordeaux, The Athens Laboratory of Business Administration and at the Warsaw University. She has published extensively in the fields of foreign exchange markets, financial markets and financial structures with specific reference to emerging markets. She is Director of Emerging Markets Group. She has written three books, 'Financial Data of Banks and Other Institutions', (Pergamon, 1987) sponsored by the Economic and Social Research Council: 'International Finance and the Less Developing Countries', (Macmillan Press, 1990) and 'The Banking System of Cyprus: Past, Present and Future', (Macmillan Press, 1995). She has been a Guest Editor of four Special Issues of the Journal of International Money and Finance (2006, 2009, 2012, 2016) on "Emerging Markets Finance". She served as an Associate Editor of the Journal of International Money and Finance(2002- 2013), International Journal of Financial Analysis(2013-),Emerging Markets Review(2002-present), Pacific-Basin Finance Journal(2006-present), Financial Review(2004-2010), Multinational Finance Journal(2002-2008), Greek Economic Review(2002-2008) and Ekonomia(2000-present). Her current research interests include Emerging Markets Finance, Foreign Exchange Markets, Microstructure of financial markets, Capital Market Integration and corporate governance and asset pricing. 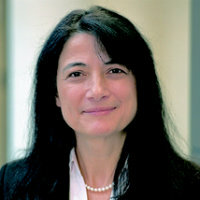 She has acted as a consultant to various companies and public bodies including the Commonwealth Secretariat, Crown Agents, the Cyprus Popular Bank, the Bank of Cyprus, the Ministry of Education of Greece, the Ministry of Education and Culture of Cyprus,the Hellenic Capital Market Commission and the MLP Corporate University Academic Board in Germany. BSc (Brunel), MSc (London) and PhD (City). Research Prize in recognition of the work that I have done to enhance the School's reputation through the development of research relationships and networks. Phylaktis, K. (2017). Financial Data and Other Institutions. Pergamon. Phylaktis, K. (1994). The Banking System of Cyprus: Past, Present and Future. Palgrave MacMillan. Phylaktis, K. (Ed. ), (1990). International Finance and the Less Developed Countries. Macmillan Press. Phylaktis, K. and O'Connor, T. (2013). Cross-Listing Behaviour. In Baker, H. and Riddick, L.A. (Eds. ), International Finance: A Survey (pp. 248–274). USA: OUP. ISBN 978-0-19-975465-6. Phylaktis, K. and Xia, L. (2011). Equity Market Contagion and Comovement: Industry Level Evidence. In Kolb, R.W. (Ed. ), Financial Contagion: The Viral Threat to the Wealth of Nations (pp. 357–364). John Wiley & Sons. ISBN 978-0-470-92238-5. Phylaktis, K. and Xia, L. (2011). Equity Market Contagion and Co-Movement: Industry Level Evidence. Sovereign Debt: From Safety to Default (pp. 369–378). ISBN 978-0-470-92239-2. Phylaktis, K. and March, I. (2003). International Monetary Fund: Past, Present and Future. In Mullineux, V. and Murinde, V. (Eds. ), Handbook of International Banking (pp. 699–720). Edward Elgar. ISBN 978-1-84064-093-9. Phylaktis, K. (1997). Financial Liberalization and Stabilization Policies: The Experience of Chile. In Gupta, K. (Ed. ), Experiences with Financial Liberalisation (pp. 131–153). Springer Netherlands. ISBN 978-94-010-6257-2. Phylaktis, K. (1995). Exchange Rate Policies in Developing Countries. In Ghatak, S. (Ed. ), Monetary Economics for Developing Countries (pp. 224–242). Macmillan Press. Phylaktis, K. and Kassimatis, Y. (1993). The Long-Run Purchasing Power Parity: Evidence From Eight Pacific Basin Countries. In Bos, T. and Fetherston, T. (Eds. ), Rising Asian Capital Markets: Empirical Studies JAI Press. Phylaktis, K., Banti, C. and Sarno, L. (2011). Global Liquidity in the Foreign Exchange Market. Annual Central Bank Workshop on the Microstructure of Financial Markets, Norges Bank Stavanger. Phylaktis, K., Bunti, C. and Sarno, L. (2011). Liquidity in the Foregn exchange markeet. Emerging Markets Finance Cass,LondonUK. Phylaktis, K., Banti, C. and Sarno, L. (2011). Liquidity in the Foreign Exchange Market. University of Geneva,. Fuertes, A.M., Phylaktis, K. and Brun Aguerre, R. (2011). Country and Time-Variation in Import Exchange Rate Pass-Through: Is it Driven by Macro Factors? 3rd EMG Conference on "Emerging Markets Finance" Cass Business School, City University London. Phylaktis, K. and Manalis, G. (2010). Futures Trading and Market Microstructure of the Underlying Security: A High Frequency natural experiment at the single stock future level. Money,Macro,Finance Cyprus. Phylaktis, K., Marsh, I. and Duffuor, K. (2010). Order Flow and Exchange Rate Dynamics: An Application to Emerging Markets. EMG workshop on microstructure. Phylaktis, K. and Manalis, G. (2009). Futures Trading and Market Microstructure of the Underlying Security: A High Frequency natural experiment at the single stock future level. Bristol University seminar series Bristol. Phylaktis, E. and Chen, L. (2008). Futures Trading and Market Microstructure of the Underlying Security: A High Frequency natural experiment at the single stock future level. 2nd EMG Conference on Emerging Markets Finance 15-16 May, Cass Business School, City University, London, UKLondon. Phylaktis, , Kate, and Chen, L. (2008). Asymmetric Linkages between High-frequency DEM/USD and GBP/USD Exchange Rates. Financial Management Association Prague. Phylaktis, , Kate, and Manalis, G. (2008). Futures Trading and Market Microstructure of the Underlying Security: A High Frequency natural experiment at the single stock future level. Cass Business School workshops London. Phylaktis, K. and Duffuor, K. (2008). FX Market Microstructure in Emerging Markets: The Case of Ghana. Exchange Rates and Capital Flows Bank of England, London. Phylaktis, , Kate, and Chen, L. (2007). Asymmetric Information, Price Discovery and Macroeconomic Announcements in FX Market: Do Top Trading Banks Know More? Financial Management Association Barcelona. Phylaktis, , Kate, and Xia, L. (2007). Equity Market Co-movement and Contagion:. Financial Management Association Orlando. Phylaktis, , Kate, and Xia, L. (2007). Equity Market Co-movement and Contagion:. International Finance Conference Trinity College, Dublin. Phylaktis, K. (2006). Equity Market Comovement and Contagion. Financial Management Association Stockholm. Phylaktis, , Kate, and Xia, L. (2006). Industry versus Country Effects: Changing Roles in Global Equity Markets. CFA Institute Annual Conference Zurich. Phylaktis, K. (2006). Macroeconomic Announcementsand Private Information in the Foreign Exchange Market. High Frequency Finance Konstanz, Germany. Phylaktis, K. and Xia, L. (2006). Equity Market Co-movement and Contagion. University of Cyprus, Cyprus. Phylaktis, K. (2005). Sources of Firms' Industry and Country Effects in Emerging Markets. Emerging Markets Finance Conference Cass Business School, London. Phylaktis, K. (2005). Specialist Trading and the Price Discovery Process of NYSE-Listed Non-US Stocks. Fimamcial Management Association Sienna. Phylaktis, K. (2005). Specialist Trading and the Price Discovery Process of NYSE-Listed Non-US Stocks. Georgia Tech International Finance Conference Atlanta. Korczak, P. and Phylaktis, K. (2004). Specialist Trading and the Price Discovery Process od NYSE listed Non-US Stocks. European Finance Association Maastricht. Phylaktis, K. (2004). Specialist Trading and the Price Discovery Process of NYSE-Listed Non-US Stocks. Cass Business School Workshop. Phylaktis, K. (2004). Specialist Trading and the Price Discovery Process of NYSE-Listed Non-US Stocks. Money Macro Finance Meeting, London. Phylaktis, K. (2004). Specialist Trading and the Price Discovery Process of NYSE-Listed Non-US Stocks. University of Maastricht. Phylaktis, K. (2004). The Changinf Role of Industry and Country Effect. University of Loughborough. Phylaktis, K. (2004). The Changing Role of Industry and Country Effect in the Global Equity Markets. Mutinational Finance Association Instabul. Xia, L. and Phylaktis, K. (2004). The changing role of industry and country effects in the global equity markets. Financial Management Association, European Meeting Zurich. Phylaktis, K. (2003). Currency Risk in Emerging Equity Markets. Financial Management Association Dublin. Phylaktis, K. (2003). Currency Risk in Emerging Equity Markets. Symposium on International Equity Market Integration Trinity College, University of Dublin. Phylaktis, K. (2003). Price Transmission Dynamics between Informationally Linked Securities. European Financial Management Association Helsinki. Phylaktis, K. (2003). Price Transmission Dynamics between Informationally Linked Securities. French Finance Association Lyons. Phylaktis, K. (2002). Currency Risk in Emerging Markets. The Multinational Finance Association Paphos, Cyprus. Phylaktis, K. (2002). Measuring Financial and Economic Integration with Equity Prices in Emerging Markets. The European Financial Management Association London. Phylaktis, K. (2002). Stock Market Linkages in Emerging Markets: Implications for International Portfolio Diversification. The FMA San Antonio, Texas. Phylaktis, K. and Ravazzolo, F. (2001). Country Funds: A Channel for Emerging Equity Market Integration. European Financial Management Association Conference 27-30 June, Lugano, Switzerland. Phylaktis, K. (2001). Country Funds: A Channel for Emerging Equity Market Integration. 8th Annual Conference of the Multinational Finance Society 23-27 June, Lake Garda, Italy. Phylaktis, K. (2001). Measuring Financial and Economic Integration with Equity Prices in Emerging Markets. 20th anniversary of the Journal of International Money and Finance The University of Rome, Tor Vergata. Phylaktis, K. (2001). Measuring Financial and Economic Integration with Equity Prices in Emerging Markets. Financial Management Association Toronto. Phylaktis, K. (2001). Measuring Financial and Economic Integration with Equity Prices in Emerging Markets. Financial Management Association, European Meeting Paris. Phylaktis, K. (2001). Measuring Financial and Economic Integration with Equity Prices in Emerging Markets. Brasenose College, Oxford University. Phylaktis, K. (2001). Measuring Financial and Economic Integration with Equity Prices in Emerging Markets. Brunel University, London. Phylaktis, K. (2001). Measuring Financial and Economic Integration with Equity Prices in Emerging Markets. University of Cyprus. Phylaktis, K. (2001). Stock Prices and Exchange Rate Dynamics. Global Finance Association LA. Phylaktis, K. (2000). An Examination of the Relationship Between Stock Returns and Trading Activity Under Different Trading Systems. European Financial Management Association Athens. Phylaktis, K. (2000). Can we Control Capital Flows? International Economics Study Group, 25th Annual Conference University of Sussex. Phylaktis, K. (2000). Measuring Financial and Economic Integration with Equity Prices in Emerging Markets. City University Business School workshop City University Business School. Phylaktis, K. (2000). Stock Prices and Exchange Rate Dynamics. European Financial Management Association Athens. Phylaktis, K. (2000). Stock Prices and Exchange Rate Dynamics. Financial Management Association, European Meeting Edinburgh. Phylaktis, K. (1999). An EGARCH/GARCH Examination of the Relationship between Stock Returns and Volume in an Emerging Capital Market. City University Business School workshop City University Business School. Phylaktis, K. (1999). An EGARCH/GARCH Examination of the Relationship between Stock Returns and Volume in an Emerging Capital Market. Eastern Finance Association Meeting Miami, Florida. Phylaktis, K. (1999). Foreign Exchange Markets in Transition Economies: China. Asia Forum King's College, London. Phylaktis, K. (1999). Foreign Exchange Markets in Transition Economies: China. Financial Management Association, Pacific Basin Meeting Kuala Lumpur, Malaysia. Phylaktis, K. (1999). Stock Prices and Exchange Rate Dynamics. Australian Finance and Banking Conference University of New South Wales, Australia. Phylaktis, K. (1999). Stock Prices and Exchange Rate Dynamics. Macro, Money and Finance Conference University of Oxford, Oxford. Phylaktis, K. (1998). Euro: Implications for the US Dollar. University of Crete, Rethemno, Crete. Phylaktis, K. (1998). Foreign Exchange Markets in Transition Economies: China. Money, Macro and Finance Group Conference Imperial College, London. Phylaktis, K. (1997). Capital Market Integration in the Pacific Basin Countries: An Analysis of Interest Rate Linkages. University of Alberta, Canada. Phylaktis, K. (1997). Capital Market Integration in the Pacific Basin Countries: An Analysis of Real Interest Rate Linkages. Guildhall City University, London. Phylaktis, K. (1997). Capital Market Integration in the Pacific Region: An Impulse Response Analysis. Development Economics Study Group Birmingham. Phylaktis, K. (1997). Capital Market Integration in the Pacific Region: An Impulse Response Analysis. The Econometrics Society European Meeting Toulouse, France. Phylaktis, K. (1997). An Examination of the Behaviour of Exchange Rates in China, 1988 to the Present. Chinese Economic Association LSE, London. Phylaktis, K. (1996). Capital Market Integration in the Pacific Basin Countries: An Analysis of Real Interest Rate Linkages. Asian Pacific Finance Association/PACAP and Chinese Finance Association Taipei. Phylaktis, K. (1996). Capital Market Integration in the Pacific Basin Countries: An Analysis of Real Interest Rate Linkages. European Association Istanbul. Phylaktis, K. (1996). Capital Market Integration in the Pacific Basin Countries: An Analysis of Real Interest Rate Linkages. Money, Macro, Finance Group London Business School, London. Phylaktis, K. (1996). Capital Market Integration in the Pacific Basin Countries: An Analysis of Real Interest Rate Linkages. University of Keele. Phylaktis, K. (1996). A GARCH Examination of the Relationship Between Stock Returns and Trading Activity in an Emerging Capital Market. INQUIRE Europe Budapest. Phylaktis, K. (1995). Banking in Cyprus: Historical Analysis and Future Prospects. Public lecture organised by the Cyprus Popular Bank The Hellenic Centre in London. Phylaktis, K. (1995). Black and Official Exchange Rate Volatility: Effects of Foreign Exchange Controls and Intermarket Spillovers. Forecasting Financial Markets Conference Imperial College. Phylaktis, K. (1995). Black and Official Exchange Rate Volatility: Effects of Foreign Exchange Controls and International Spillovers. European Economic Association Prague. Phylaktis, K. (1995). Capital Market Integration in the Pacific Basin Countries: An analysis of Real Interest Rate Linkages. Brasenose College, Oxford University. Phylaktis, K. (1995). Devaluation, Exchange Controls and the Black Market for Dollars in Greece. Applied Econometrics Association Meeting Studgart. Phylaktis, K. (1995). Stock Prices and the Flow of Information in the Athens Stock Exchange. European Financial Management Association London. Hearn, B., Phylaktis, K. and Piesse, J. (2017). Expropriation risk by block holders, institutional quality and expected stock returns. Journal of Corporate Finance, 45, pp. 122–149. doi:10.1016/j.jcorpfin.2017.04.016 . Yan, C., Phylaktis, K. and Fuertes, A.M. (2016). On cross-border bank credit and the U.S. financial crisis transmission to equity markets. Journal of International Money and Finance, 69, pp. 108–134. doi:10.1016/j.jimonfin.2016.06.014 . Fuertes, A.-.M., Phylaktis, K. and Yan, C. (2016). Hot money in bank credit flows to emerging markets during the banking globalization era. Journal of International Money and Finance, 60, pp. 29–52. doi:10.1016/j.jimonfin.2014.10.002 . Bussière, M. and Phylaktis, K. (2016). Emerging markets finance: Issues of international capital flows – Overview of the special issue. Journal of International Money and Finance, 60, pp. 1–7. doi:10.1016/j.jimonfin.2015.09.007 . Banti, C. and Phylaktis, K. (2015). FX market liquidity, funding constraints and capital flows. Journal of International Money and Finance, 56, pp. 114–134. doi:10.1016/j.jimonfin.2014.11.002 . Muradoǧlu, Y.G., Onay, C. and Phylaktis, K. (2014). European integration and corporate financing. International Review of Financial Analysis, 33, pp. 138–157. doi:10.1016/j.irfa.2014.02.002 . Phylaktis, K. and Manalis, G. (2013). Futures trading and market microstructure of the underlying security: A high frequency experiment at the single stock future level. Borsa Istanbul Review, 13(4), pp. 79–92. doi:10.1016/j.bir.2013.10.012 . Phylaktis, K. and Aristidou, A. (2013). Margin Changes and Futures Trading Activity: A New Approach. European Financial Management, 19(1), pp. 45–71. doi:10.1111/j.1468-036X.2012.00565.x . Duffuor, K., Marsh, I.W. and Phylaktis, K. (2012). Order flow and exchange rate dynamics: An application to emerging markets. International Journal of Finance and Economics, 17(3), pp. 290–304. doi:10.1002/ijfe.451 . Phylaktis, K. (2012). Guest editorial, emerging markets finance: Overview of the special issue. Journal of International Money and Finance, 31(4), pp. 673–679. doi:10.1016/j.jimonfin.2012.01.004 . Brun-Aguerre, R., Fuertes, A.-.M. and Phylaktis, K. (2012). Exchange rate pass-through into import prices revisited: What drives it? Journal of International Money and Finance, 31(4), pp. 818–844. doi:10.1016/j.jimonfin.2012.01.009 . Phylaktis, K. (2012). Guest editorial, emerging markets finance: Overview of the special issue. Journal of International Money and Finance, 31(4), pp. 673–679. Banti, C., Phylaktis, K. and Sarno, L. (2012). Global liquidity risk in the foreign exchange market. Journal of International Money and Finance, 31(2), pp. 267–291. doi:10.1016/j.jimonfin.2011.11.010 . Phylaktis, K. and Manalis, G. (2011). Futures Trading and Market Microstructure of the Underlying Security: A high Frequency natural Experiment at the Single Stock Future Level. European Journal of Finance. Korczak, P. and Phylaktis, K. (2010). Related securities and price discovery: Evidence from NYSE-listed Non-U.S. stocks. Journal of Empirical Finance, 17(4), pp. 566–584. doi:10.1016/j.jempfin.2010.04.006 . Phylaktis, K. and Chen, L. (2010). Asymmetric information, price discovery and macroeconomic announcements in FX market: Do top trading banks know more? International Journal of Finance and Economics, 15(3), pp. 228–246. doi:10.1002/ijfe.391 . Phylaktis, K. and Xia, L. (2010). Equity Market Comovement and Contagion: A Sectoral Perspective. CFA Digest, 40, pp. 109–111. Phylaktis, K. and Chen, L. (2009). Price discovery in foreign exchange markets: A comparison of indicative and actual transaction prices. Journal of Empirical Finance, 16(4), pp. 640–654. doi:10.1016/j.jempfin.2009.02.001 . Phylaktis, K. and Xia, L. (2009). Equity market comovement and contagion: A sectoral perspective. Financial Management, 38(2), pp. 381–409. doi:10.1111/j.1755-053X.2009.01040.x . Phylaktis, K. (2009). Emerging-Markets Finance: Overview of the special issue. Journal of International Money and Finance, 28(4), pp. 549–553. doi:10.1016/j.jimonfin.2009.01.001 . Phylaktis, K. and Aristidou, A. (2007). Security transaction taxes and financial volatility: Athens stock exchange. Applied Financial Economics, 17(18), pp. 1455–1467. doi:10.1080/09603100600972426 . Phylaktis, K. and Xia, L. (2006). The changing roles of industry and country effects in the global equity markets. European Journal of Finance, 12(8), pp. 627–648. doi:10.1080/13518470500460202 . Phylaktis, K. (2006). Emerging markets finance: Overview of the special issue. Journal of International Money and Finance, 25(3), pp. 349–357. doi:10.1016/j.jimonfin.2006.03.002 . Phylaktis, K. and Xia, L. (2006). Sources of firms' industry and country effects in emerging markets. Journal of International Money and Finance, 25(3), pp. 459–475. doi:10.1016/j.jimonfin.2006.02.001 . Phylaktis, K. (2006). Spreading the Risk. The Hedgefund Journal, 2006(16 (April 2006)), pp. 34–36. Phylaktis, K. and Xia, L. (2006). The Changing Role of Industry and Country Effects in Global Equity Markets. European Journal of Finance, 12, pp. 627–648. Phylaktis, K. and Ravazzolo, F. (2005). Stock prices and exchange rate dynamics. Journal of International Money and Finance, 24(7), pp. 1031–1053. doi:10.1016/j.jimonfin.2005.08.001 . Phylaktis, K. and Ravazzolo, F. (2005). Stock market linkages in emerging markets: Implications for international portfolio diversification. Journal of International Financial Markets, Institutions and Money, 15(2), pp. 91–106. doi:10.1016/j.intfin.2004.03.001 . Phylaktis, K. and Manalis, G. (2005). Price transmission dynamics between informationally linked securities. Applied Financial Economics, 15(3), pp. 187–201. doi:10.1080/0960310042000306970 . Phylaktis, K. and Ravazzolo, F. (2004). Currency risk in emerging equity markets. Emerging Markets Review, 5(3), pp. 317–339. doi:10.1016/j.ememar.2004.04.002 . Phylaktis, K. and Ravazzolo, F. (2002). Measuring financial and economic integration with equity prices in emerging markets. Journal of International Money and Finance, 21(6), pp. 879–903. doi:10.1016/S0261-5606(02)00027-X . Phylaktis, K. and Girardin, E. (2001). Foreign exchange markets in transition economies: China. Journal of Development Economics, 64(1), pp. 215–235. doi:10.1016/S0304-3878(00)00130-9 . Phylaktis, K. and Kavussanos, M. (2001). An Examination of the Relationship between Stock Returns and Trading Activity under Different Trading Systems. Greek Economic Review, 21(1), pp. 19–36. Moore, M. and Phylaktis, K. (2000). Black and official exchange rates in the Pacific Basin: Some tests of dynamic behaviour. Applied Financial Economics, 10(4), pp. 361–369. doi:10.1080/09603100050031480 . Phylaktis, K. (1999). Capital market integration in the Pacific Basin region: An impulse response analysis. Journal of International Money and Finance, 18(2), pp. 267–287. doi:10.1016/S0261-5606(98)00046-1 . Phylaktis, K., Kavussanos, M. and Manalis, G. (1999). Price Limits and Stock Market Volatility in the Athens Stock Exchange. European Financial Management, 5(1), pp. 69–84. Phylaktis, K. and Kassimatis, Y. (1997). Black and official exchange rate volatility and foreign exchange controls. Applied Financial Economics, 7(1), pp. 15–24. doi:10.1080/096031097333817 . Phylaktis, K. (1997). Capital market integration in the Pacific-Basin region: An analysis of real interest rate linkages. Pacific Basin Finance Journal, 5(2), pp. 195–213. doi:10.1016/S0927-538X(97)00011-5 . Phylaktis, K. (1997). Black Market for Foreign Currency: A Survey of Theoretical and Empirical Issues. Financial Markets, Institutions and Instruments, 6, pp. 102–124. Phylaktis, K., Kavussanos, M.G. and Manalis, G. (1996). Stock prices and the flow of information in the Athens Stock Exchange. European Financial Management, 2(1), pp. 113–126. PHYLAKTIS, K. (1995). DEBT, DEFICITS AND EXCHANGE-RATES - REISEN,H. MANCHESTER SCHOOL OF ECONOMIC AND SOCIAL STUDIES, 63(1), pp. 116–116. Phylaktis, K. (1995). Capital Market Integration in the Pacific Basin Countries: An Analysis of Real Interest Rate Linkages. IMF Discussion Paper. Phylaktis, K. and Kassimatis, Y. (1994). Does the real exchange rate follow a random walk? The Pacific Basin perspective. Journal of International Money and Finance, 13(4), pp. 476–495. doi:10.1016/0261-5606(94)90051-5 . Phylaktis, K. and Kassimatis, Y. (1994). Black and official exchange rates in the Pacific Basin countries: An analysis of their long-run dynamics. Applied Economics, 26(4), pp. 399–407. doi:10.1080/00036849400000086 . Phylaktis, K. and Taylor, M.P. (1993). Money demand, the Cagan model and the inflation tax: some Latin American evidence. Review of Economics & Statistics, 75(1), pp. 32–37. doi:10.2307/2109623 . Phylaktis, K. (1992). Purchasing power parity and cointegration: The Greek evidence from the 1920s. Journal of International Money and Finance, 11(5), pp. 502–513. doi:10.1016/0261-5606(92)90015-P .
Phylaktis, K. and Taylor, M.P. (1992). The Monetary Dynamics of Sustained High Inflation: Taiwan, 1945-1949. Southern Economic Journal, 58(3), pp. 610–610. doi:10.2307/1059829 . Phylaktis, K. (1991). The black market for dollars in Chile. Journal of Development Economics, 37(1-2), pp. 155–172. doi:10.1016/0304-3878(91)90086-B . Phylaktis, K. (1988). Banking in a British Colony: Cyprus 1878–1959. Business History, 30(4), pp. 416–431. doi:10.1080/00076798800000077 . PHYLAKTIS, K. (1988). THE CHASE - THE CHASE-MANHATTAN-BANK-NA 1945-1985 - WILSON,JD. BUSINESS HISTORY, 30(2), pp. 260–261. doi:10.1080/00076798800000048 . PHYLAKTIS, K. (1988). PROTECTIONISM, EXCHANGE-RATES AND THE MACROECONOMY - FORD,JL, SEN,S. ECONOMICA, 55(217), pp. 133–134. doi:10.2307/2554257 . Phylaktis, K. (1988). Capital controls: The case of Argentina. Journal of International Money and Finance, 7(3), pp. 303–320. doi:10.1016/0261-5606(88)90033-2 . Phylaktis, K. (1985). Exchange Controls Cannot be Enforced. Economic Affairs, 5(2), pp. 12–13. doi:10.1111/j.1468-0270.1985.tb01058.x . PHYLAKTIS, K. (1983). Services for Freer Trade. Economic Affairs, 3(4), pp. 231–235. doi:10.1111/j.1468-0270.1983.tb01514.x . Phylaktis, K. (1999). The History of the Bank of Cyprus (centenary monograph). Bank of Cyprus. Taylor, M.P. and Phylaktis, K. The Demand for Money During High Inflation Episodes; Some Latin American Evidenceon the Cagan Model. Korczak, P. and Phylaktis, K. Related Securities, Allocation of Attention and Price Discovery: Evidence from NYSE-Listed Non-U.S. Stocks. Phylaktis, K. and Xia, L. Sources of Industry and Country Effects in Firm Level Returns. Phylaktis, K. (1995). Capital Market Integration in the Pacific Basin Region; An Analysis of Real Interest Rate Linkages. International Monetary Fund. Journal of International Money and Finance, Special Editor, 2015 – 2016.
International Review of Financial Analysis, Member of Editorial Board, 2012 – present. Journal of International Money and Finance, Special Editor, 2011 – 2012. Journal of International Money and Finance, Special Editor, 2008 – 2009. Pacific Basin Finance Journal : 2006-, Associate Editor, 2006 – present. Journal of International Money and Finance, Special Editor, 2005 – 2006. Financial Review, Associate Editor, 2004 – 2010. Journal of International Money and Finance, Associate Editor, 2003 – 2013. Multinational Finance Journal, Associate Editor, 2002 – 2008. Emerging Markets Review, Associate Editor, 2002 – present. Ekonomia, Associate Editor, 2000 – present. Asian Finance Association. (Conference) Tokyo, Japan (2018). Infiniti Conference. (Conference) Poznan, Poland (2018). Co-authors: Delvaux, J. Thomas, S.
Kings College, London. (Seminar) Kings College, London (2017). Invited speaker. Money, Macro, Finance Conference. (Conference) Kings College, London (2017). Invited speaker. European Financial Management Association. (Conference) aTHENS (2017). Session/Day Chair. University of Essex. (Seminar) Colchester (2017). Invited speaker. University of Durham. (Seminar) University of Durham (2017). Invited speaker. Infiniti Conference on International Finance. (Conference) Ho Chi Mich City, Vietnam (2016). Chair. Invited speaker. EMG and ECB Conference on “Global Liquidity and its International Implications”. (Conference) Cass Business School (2016). Organising Committee, Chair and Review Panel. Global Debt Dynamics conference, University of Sussex. (Conference) (2016). Invited speaker. JIMF conference in honour of Jim Lothian. (Conference) New York, US (2015). Financial Management Association, European Meeting. (Conference) Venice (2015). 4th EMG Conference on Emerging Markets. (Conference) Emerging Markets Group, Cass Business School (2014). Chair and Organising Committee. (Seminar) Sheffield (2014). Invited speaker. Infiniti conference on International Finance. Italy (2014). 4th Emerging Markets Finance Conference. (Conference) London (2014). EMG Workshop on International Capital Flows and the Global Economy. (Conference) Emerging Markets Group, Cass Business School (2013). Chair and Organising Committee. World Finance Conference. (Conference) Limassol, Cyprus (2013). Money, Macro Finance. (Conference) London, UK (2013). Maltinational Finance Association. (Conference) Izmir, Turkey (2013). Infiniti on International Finance. (Conference) Aix-en Provence, France (2013). Emerging Market Finance Conference, IGIDR Bombay. (Conference) (2013). Invited speaker. 5th EMG Workshop on Microstructure of Financial Markets. (Conference) Emerging Markets Group Cass Bsiness School (2012). Chair and Organising Committee. EMG Workshop on Global Linkages and Financial Crises. (Conference) (2012). Chair and Organising Committee. Empirical Modelling of Financial Markets. (Workshop) Brunel Uiversity,London (2012). Invited speaker. liquidity Risk. (Conference) Fordham University, New York (2012). Annual Central Bank Workshop on the Microstructure of Financial Markets, Bank of Canada. (Conference) Ottawa, Canada (2012). Invited speaker. 5th Microstructure workshop. (Conference) Cass, London (2012). Emerging Markets Finance. (Conference) Emerging Markets Group Conference,Cass Business School (2011). Chair and Organising Committee. (Seminar) University of Piraeus, Greece (2011). Invited speaker. (Seminar) University of Geneva (2011). Invited speaker. Emerging Markets Finance. (Conference) Cass, London (2011). Paper: Exchange Rate Pass-Through into Import Prices Revisited:What drives it?" 7th Annual Central Bank Workshop on the Microstructure of Financial Markets, Norges Bank. (Conference) Stavanger, Norway (2011). Money, Macro, Finance. (Conference) Cyprus (2010). EMG workshop on microstructure. (Conference) (2010). 4th EMG workshop on Microstructure of Financial Markets. (Conference) EMG workshop,Cass Business School (2009). Chair and Organising Committee. Bristol University seminar series. (Seminar) Bristol (2009). Invited speaker. Emerging Markets Finance. (Conference) Emerging Markets Group Conference,Cass Business School (2008). Chair and Organising Committee. Cass Business School workshops. (Seminar) London (2008). Invited speaker. Exchange Rates and Capital Flows. (Workshop) Bank of England, London (2008). Invited speaker. Financial Management Association. (Conference) Prague (2008). Emerging Markets Group. (Conference) London (2008). International Equity Market Comovements and Contagion. (Conference) EMG/ESRC workshop Cass (2007). Chair and Organising Committee. International Finance Conference. (Conference) Trinity College, Dublin (2007). Financial Management Association. (Conference) Barcelona (2007). Paper: Asymmetric Information, Price Discovery and Macroeconomic Announcements in FX Market: Do Top Trading Banks Know More? Financial Management Association. (Conference) Orlando (2007). Microstructure of Capital Markets. (Conference) EMG/ESRC workshop, Cass (2006). Chair and Organising Committee. Transition Econmies. (Conference) EMG/ESRC/EBRD workshop Cass (2006). Chair and Organising Committee. (Seminar) University of Cyprus, Cyprus (2006). Invited speaker. CFA Institute Annual Conference. (Conference) Zurich (2006). Invited speaker. High Frequency Finance. Konstanz, Germany (2006). Financial Management Association. Stockholm (2006). Microstructure of Financial Markets. (Conference) EMG/ESRC workshop Cass (2005). Chair and Organising Committee. Emerging Markets Finance. (Conference) Emerging Markets Group Conference,Cass Business School (2005). Chair and Organising Committee. Georgia Tech International Finance Conference. Atlanta (2005). Fimamcial Management Association. Sienna (2005). Emerging Markets Finance Conference. Cass Business School, London (2005). Transition Economies Workshop. (Conference) EMG/ESRC workshop Cass (2004). Chair and Organising Committee. Portfolio Diversification and Contagion. (Conference) EMG/ESRC workshop Cass (2004). Chair and Organising Committee. Mutinational Finance Association. Instabul (2004). Money Macro Finance Meeting, London. (2004). Financial Management Association, European Meeting. Zurich (2004). European Finance Association. Maastricht (2004). Cass Business School Workshop. (2004). Emerging Capital Markets. (Conference) EMG/ESRC workshop, Cass (2004). Chair and Organising Committee. Symposium on International Equity Market Integration. Trinity College, University of Dublin (2003). French Finance Association. Lyons (2003). Financial Management Association. Dublin (2003). Emerging Capital Markets. (Conference) EMG/ESRC workshop, Cass (2002). Chair and Organising Committee. The Multinational Finance Association. Paphos, Cyprus (2002). The FMA. San Antonio, Texas (2002). The European Financial Management Association. London (2002). Brasenose College, Oxford University (2001). Multinational Financial Management Association. Lake Garda, Verona (2001). Global Finance Association. LA (2001). Financial Management Association. Toronto (2001). Financial Management Association, European Meeting. Paris (2001). 20th anniversary of the Journal of International Money and Finance. The University of Rome, Tor Vergata (2001). International Economics Study Group, 25th Annual Conference. University of Sussex (2000). Paper: Can we Control Capital Flows? Financial Management Association, European Meeting. Edinburgh (2000). City University Business School workshop. City University Business School (2000). Macro, Money and Finance Conference. University of Oxford, Oxford (1999). Financial Management Association, Pacific Basin Meeting. Kuala Lumpur, Malaysia (1999). Eastern Finance Association Meeting. Miami, Florida (1999). City University Business School workshop. City University Business School (1999). Australian Finance and Banking Conference. University of New South Wales, Australia (1999). Asia Forum. King's College, London (1999). University of Crete, Rethemno, Crete (1998). Money, Macro and Finance Group Conference. Imperial College, London (1998). University of Alberta, Canada (1997). Capital Market Integration in the Pacific Basin Countries: An Analysis of Real Interest Rate Linkages. Guildhall City University, London (1997). The Econometrics Society European Meeting. Toulouse, France (1997). Development Economics Study Group. Birmingham (1997). Chinese Economic Association. LSE, London (1997). Money, Macro, Finance Group. London Business School, London (1996). Asian Pacific Finance Association/PACAP and Chinese Finance Association. Taipei (1996). Brasenose College, Oxford University (1995). Public lecture organised by the Cyprus Popular Bank. The Hellenic Centre in London (1995). Forecasting Financial Markets Conference. Imperial College (1995). European Financial Management Association. London (1995). European Economic Association. Prague (1995). Applied Econometrics Association Meeting. Studgart (1995). London macht Chinas Banken schšne Augen. (2013) Die Welt (newspaper). London wird zum Einfallstor fŸr Chinas Banken. (2013) Die Welt (newspaper). In quest of a new growth model for Cyprus. (2013) Famagusta Gazette (newspaper). How to profit from China's hidden debt crisis. (2013) Money Week.com (website). bank withdrawels escalate i cyprus as speculation mounts over russian involvement. (2013) Middle East News.net (website). European Union scrutinises Russian money in Cyprus. (2013) Albuquerque Express.com (website). Cyprus poses Fresh Euro Crisis as EU Questions Russian Investment. (2013) English Chosun.com (website). Its time for another look at China. (2013) The Daily Telegraph (newspaper). Mixed picture emerges from scrutiny of performance tables. (2009) Financial News (newspaper). Mixed picture emerges from scrutiny of performance tables. (2009) Financial News. Shanghai should follow the example of Hong Kong. (2009) Jie Fang Daily (newspaper). Phylaktis: Chinese Economy May Recover Before Other Countries. (2009) China Business News. Risk dodging consciousness rises among investors. (2009) Shanghai Securities News. IMF upgrades its view on US economy. (2009) Shanghai Securities News. Prof from Cass BS thinks Shanghai should look to Hong Kong. (2009) Caijing Magazine (magazine). Prof Phylaktis discusses recovery from the financial crisis. (2009) China Business Network. Businesses gear up for yuan foreign settlementBusinesses gear up for yuan foreign settlement. (2009) www.shanghaidaily.com (website). Burining issue for banks as eastern Europe faces crash. (2009) www.thisismoney.co.uk (website). Burning issue for banks as eastern Europe faces a full-scale crash. (2009) Evening Standard. Asian capital raisings push Goldman to top. (2007) Financial News (newspaper). G8 Summit Emerging Markets. (2007) CNBC Europe (television). Russian companies seeking listing on London Stock Exchange. (2007) BBC. (2006) BBC World Service Radio (radio). Regional diversification 'best protects' portfolios. (2006) Financial Times (newspaper). Lands of the rising sum. (2006) Public Service Review.